Quick read : Google planned to kill Picasa. Click here to know why ? It is an image organizer and image viewer for organizing and editing digital photos, plus an integrated photo-sharingwebsite, originally created by a company named Lifescape in 2002.In July 2004, Google acquired Picasa from Lifescape and began offering it as freeware. Due to growth of Technology and new software. Very few number of users are using Picasa and it’s already planned to replace with Google’s new service Photos. It’s also a nice multi-platform app. Which offers photo editing feature and auto backup in the Google Drive Account. 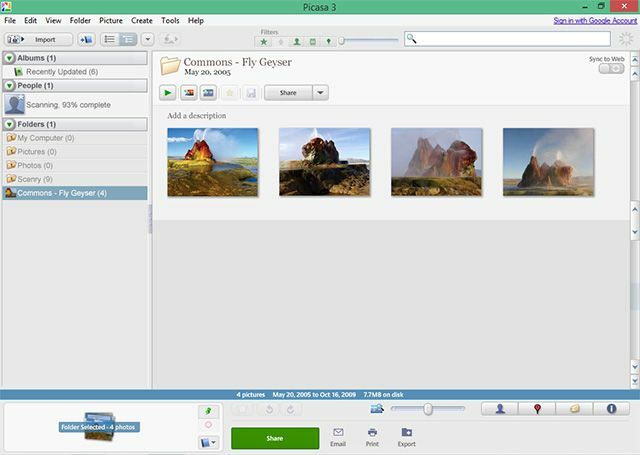 Still Peoples are using Picasa so they have to maintain a group of Developers to contribute for the development. If you have photos or videos in a Picasa Web Album today, the easiest way to still access, modify and share most of that content is to log in to Google Photos, and all your photos and videos will already be there. Using Google Photos, you can continue to upload and organize your memories, as well as enjoy other great benefits like better ways to search and share your images.